Join us and Artist In Residence Debra Disman from 1:30 to 3:30 for an envelope bookmaking workshop and create heartfelt gifts and cards. 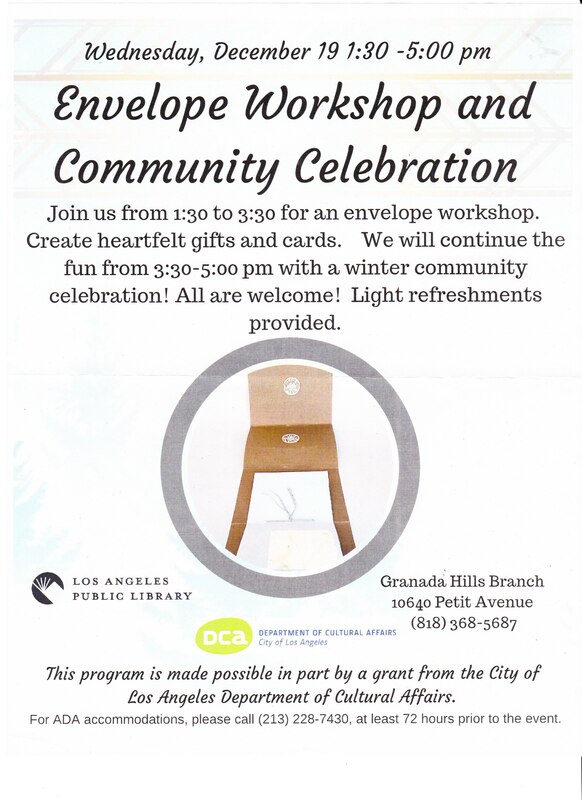 We will continue the fun from 3:30-5:00 PM with a winter community celebration. Attendees will also be entered into a drawing for a free LAPL sleeping bag! This program is made possible in part by a grant from the City of Los Angeles Department of Cultural Affairs.